Jenny Provo Quarles, the Curry School’s new Manager of Online Operations, debunks common misconceptions about distance learning and shares five ideas for how to build community-focused programs. In the past 20 years, distance learning has transformed from CD-ROMs and chat rooms to fully realized, experience-focused programming, designed to integrate learning seamlessly into students’ lives. In turn, distance learning has transformed education itself. Recent data estimates that more than one in four students, or at least 6 million students in total, now take at least one distance education course. As distance learning continues to grow, it’s not only the course materials that have moved online. Our learning communities – the deep sense of connection and support we feel as part of a group – have moved online, too. Jenny Provo Quarles, the Curry School’s new Manager of Online Operations, first encountered the world of distance learning as a graduate student in the early 2000s, when the field was just beginning to take off. Now, she’s putting her experience to use as the Curry School launches four new fully online degrees: Master of Education, Education Specialist and Education Doctorate degrees in Curriculum and Instruction, as well as a Master of Education degree in Social Foundations. Before you worry about how to create a sense of community, however, there’s one question you have to answer first: What does “community” mean? “We tend to think about community from a very place-bound mindset,” Quarles said. “For example, a church is a community, or a school, or a neighborhood.” But of course, community is more than physical proximity – after all, if you never speak to your neighbors, does that really count? Instead, Quarles said community is the trust and support that grow naturally from a sense of connection or common ground. But, for Quarles, the importance of strong online communities is much bigger than academic or professional success. Ultimately, it comes down to a matter of equity. “The number one thing for me is that it’s an access point,” she said. “Personally, I grew up very poor, and higher education wasn’t a guarantee – it was something I had to work for. Distance learning is just this amazing way to connect people to educational opportunities.” Equity in education is making sure that your online students have access to all of the same opportunities and benefits as in-person students – including the benefits of a strong, supportive community. Why is it that a sense of community can be tough to create online? In education, Quarles said, we’re used to relying on physical location to create that sense of place that allows community to bloom. “You can design a beautiful course, you can have pristine content and a strong educational experience, but it can still be lacking that sense of community,” Quarles said. Whatever your institution’s values are, Quarles said, it’s important to communicate them clearly and integrate them into your programming. When you can define and claim those values that bind your unique community together, you create a rich soil for community-building. If shared values are the soil, then interactions are the seeds. Community, Quarles says, is built in every interaction – both big and small. Unfortunately, that kind of informal connection can be particularly tough to create online. It requires doing the work to understand who your students are and purposefully building spaces for them to connect. How exactly do we create those spaces and opportunities for interactions? That’s where technology comes in. With a purpose-first, tool-second approach, technology can be a significant asset toward accomplishing goals that are grounded in shared values. In many ways, with technology integrated into our daily lives, it’s easier than ever. “You can be on the platform of your preference, you can be on your phone, and you can be engaging in these community practices when you need to and when you want to,” Quarles said. “It’s not an extra thing.” But technology is a double-edged sword. Along with expanded access, flexibility, and new methods of engaging with others, comes increased potential for misunderstanding and fewer unplanned, casual interactions. “We can think about learning from a distance as being inferior, but this is a great example of where using your computer can actually allow you to make more connections,” Quarles continued. “With a purpose-driven approach, technology can open up new and expanded opportunities for connection. Quarles said the Curry School’s expansion of online programming – and its investment in bringing in experts to do this kind of work – speaks to a necessary shift in how institutions view the value of distance learning. “The administration and the students both recognized that was really valuable, and it was worth the resources and the investment of time to create that space,” she said. In addition to programming and staffing, Quarles said it’s important for institutions to think beyond the virtual classroom and invest in programming that allows faculty to coach and champion their students through the learning experience and after graduation. As students become alumni, institutions should think about how to leverage alumni networks in the digital space. In every way you can, you want to build your programs so that becoming a part of the community is a lifelong experience, not just something you do while you’re in school. Of course, community-building can’t only come from faculty and administration – student input matters, too. 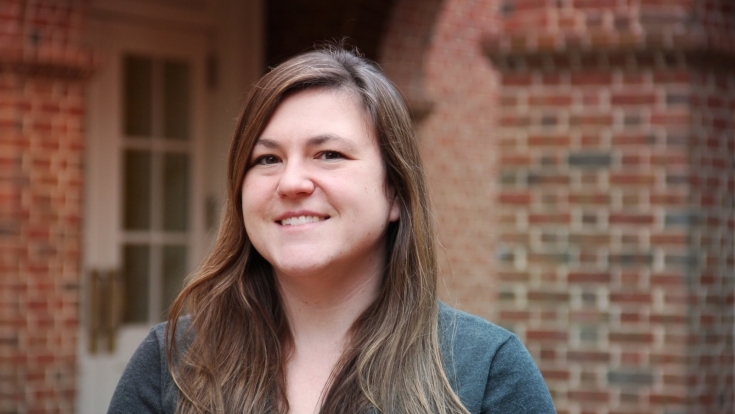 As the Curry School’s online programming continues to expand, Quarles is particularly excited about her plans to get student ambassadors more involved in the digital space. “We envision them spending their time in community spaces, helping take the pulse of students and guide us toward opportunities where we can use our shared values to have good discourse,” she said.